Note that this is a presentation made by individuals at an IANDS conference, and does NOT necessarily represent the views of the IANDS organization. You can view the material directly (Powerpoint: 1290 Kb) or, if this is too large for your connection, download a zip file (Zip archive: 1165 Kb), unzip and view it on your computer. This study was designed to develop a conceptual framework of the near-death experience (NDE), reflecting its nature and meaning for the patient and the critical-care nurse. 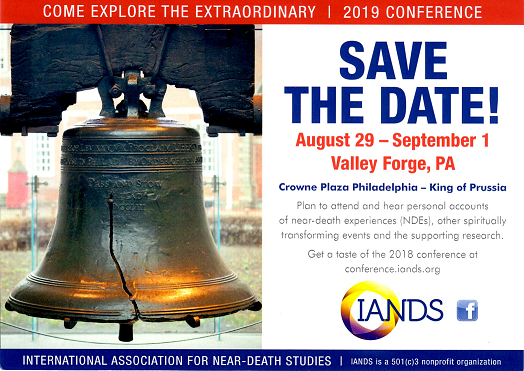 The study used naturalistic inquiry to examine the question: What is the nature and meaning of an NDE and how has it influenced the individual's view of the self, the future, and feelings and beliefs about life and death? A quantitative instrument, the Greyson NDE Scale, was used with patients, and semi-structured interview guides were used with both nurses and patients to explore the NDE from a comprehensive perspective. This study highlighted the emotional aspects of the NDE and the findings showed that it was a transformative experience for both patients and nurses. Because NDEs do occur, critical care nurses must be knowledgeable about them in order to realize the implications of the NDE in their patients and help them resolve the meaning of the experience for their lives.